Below you can view all the homes for sale in the Newcastle subdivision located in Marietta Georgia. 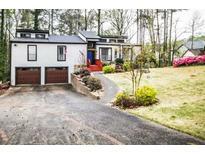 Listings in Newcastle are updated daily from data we receive from the Atlanta multiple listing service. To learn more about any of these homes or to receive custom notifications when a new property is listed for sale in Newcastle, give us a call at 404-998-4102. 4 Bedrooms, 2.5 Baths, Open Concept, Over Sized Garage, Huge Level Backyard Completely Fenced, Stainless Steel Appliances, Granite Counters In Kitchen, New Storm Double Pane/Easy Clean Windows (2016) Throughout, Sound Proof Home Theater Plus Additional Bonus Room In Basement, New Roof & Concrete Siding (2017), New A/C (2016), High Capacity Water Heater, Short Walking Distance To Neighborhood Swimming Pool, Finance Incentive Towards Closing With Preferred Lender. 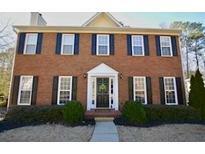 MLS#6536095. Crye-Leike Realtors. New Garage Doors. Screened In Porch. MLS#6529215. Engel & Volkers Atlanta North Fulton. Quiet Neighborhood. Southern Living Custom Home Builder MLS#6516679. Re/Max Town And Country. Partial Finished Daylight Basement, Could Be Playroom, Office Or 5Th Bedroom. Hoa Is Optional. MLS#6515465. Re/Max Around Atlanta Realty. Quiet Neighborhood. Southern Living Custom Home Builder MLS#6509355. Re/Max Town And Country. Quiet Neighborhood, Easy Highway Access, And Incredible Price!!! Southern Living Custom Home Builder. MLS#6125761. Re/Max Town And Country. Quiet Neighborhood, Easy Highway Access, And Incredible Price!!! Southern Living Custom Home Builder MLS#6063708. Re/Max Town And Country.